Here’s how you can download and install iOS 11.3 beta 1 without developer account on your iPhone, iPad or iPod touch device. As you may already know by now, iOS 11.3 beta 1 was released earlier today to developers registered on Apple Developer Program portal. 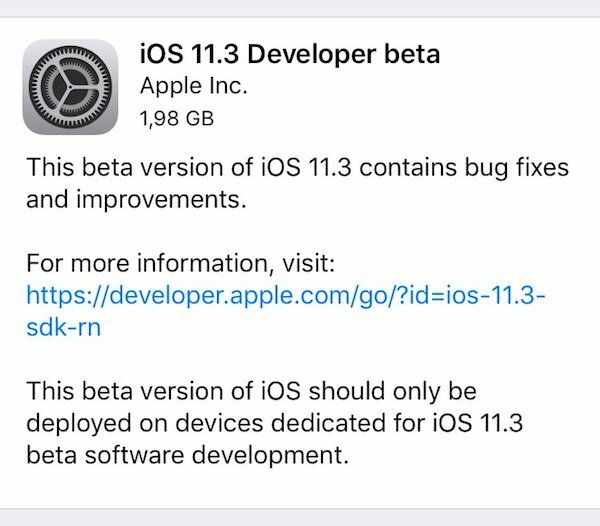 Like every other developer beta from past couple of years, it’s likely that Apple will make iOS 11.3 beta 1 available soon to those public testers registered on Apple Beta Software Program portal as well in a couple of days time max. If you can’t wait that long though, follow the steps below to install developer beta of iOS 11.3 right now. Step 1: First things first. 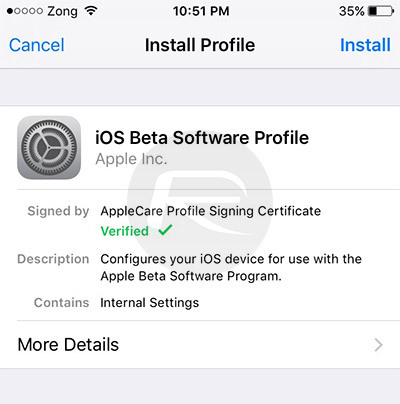 You will need to get hold of Apple’s “iOS Beta Software Profile” for iOS devices. 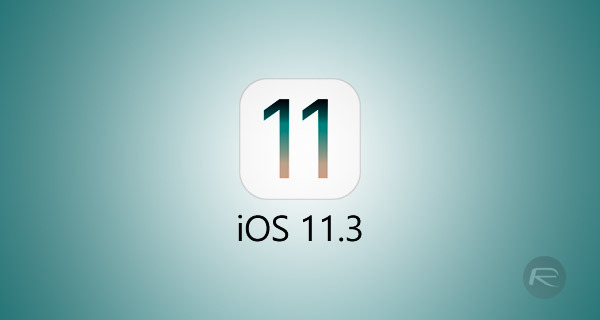 To do this, launch Safari web browser on your iPhone or iPad and navigate to this link bit.ly/2n7vfLi to download the required configuration profile for downloading and installing iOS 11.3 beta 1 OTA update from Apple. Step 2: Tap on the “Download” button to install the profile on your device. When or if prompted “on which device would you like to install this profile?”, select iPhone to continue. Step 3: On the following screen, simply tap on “Install” to complete installation of the profile. Step 4: A reboot of the device will be required. If asked, allow the device to be rebooted. Step 5: After the reboot, head over to Settings > General > Software Update and wait for “iOS 11.3 Developer beta” OTA update to show up. Step 6: Once it shows up, tap on “Download and Install” button to begin installing iOS 11.3 beta 1 on your compatible iPhone, iPad or iPod touch device. That’s about it. Enjoy the first iOS 11.3 beta on your iPhone or iPad without being a developer and before Apple pushes it to public beta testers channel around the world! Does iOS 11.1 have battery optimisation?